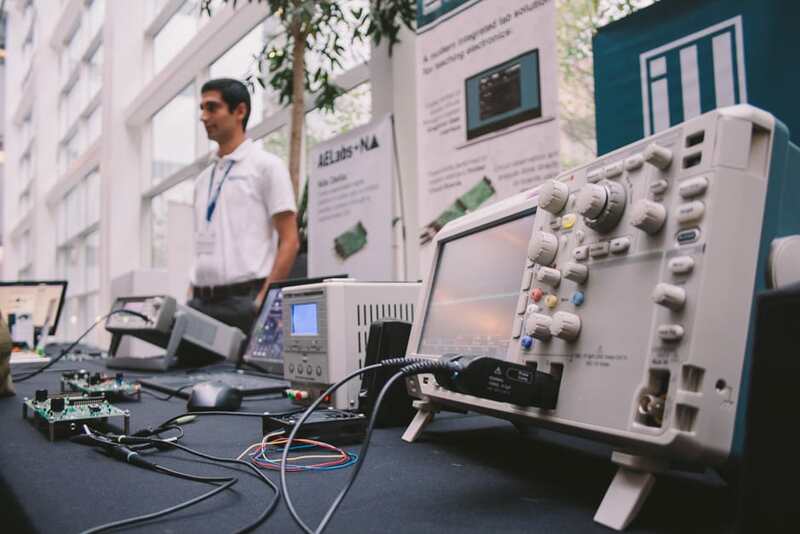 Mehrad Mashayekhi of Illuster Technologies Inc. promotes his startup, which creates analog microelectronic devices, digital control systems, and power electronics, among other hardware, designed to enhance the teaching of electronics. 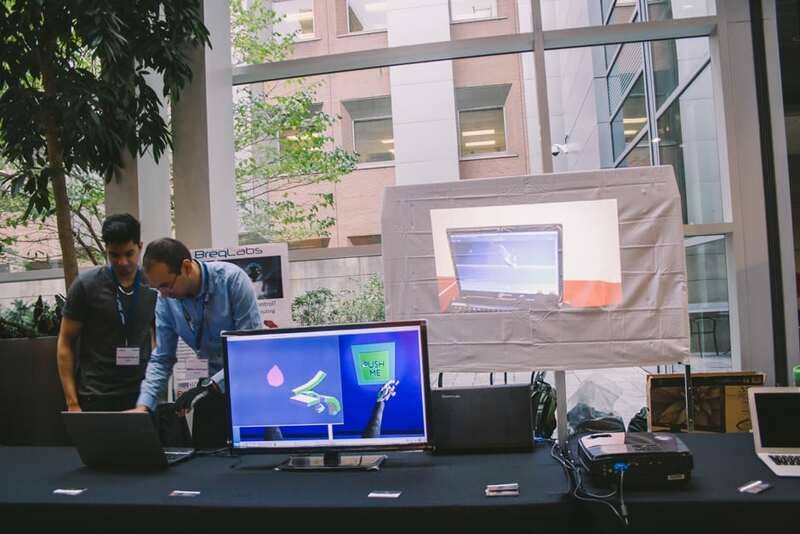 On Wednesday, November 5, the Impact Centre hosted their Techno Showcase in the MaRS atrium. 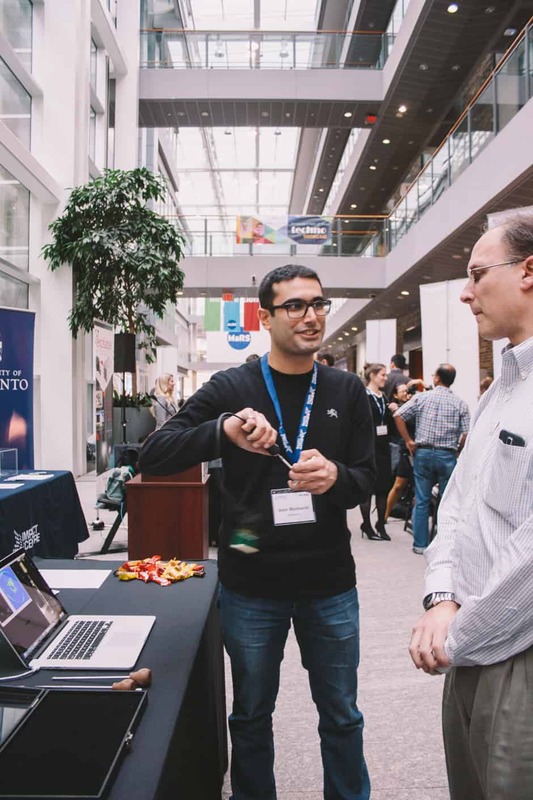 The showcase celebrated five years of the Impact Centre’s Techno program, a scientific entrepreneurship program offering students and researchers an opportunity to build businesses out of their research by turning it into usable apps, tools, and equipment. The CEO of BreqLabs, Dr. Martin Labrecque, demonstrates the use of their wearable gaming glove that tracks hand positioning and orientation, allowing the experience of gaming to be more intuitive and immersive. 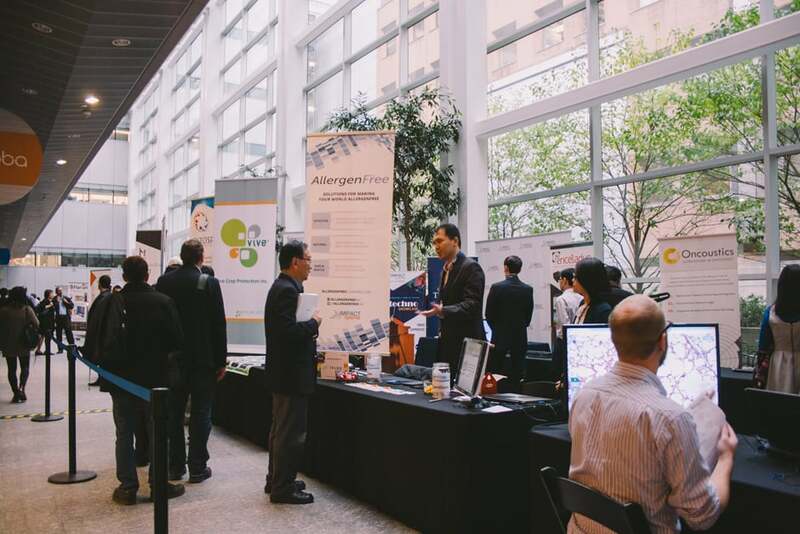 Kevin Ming, co-founder and managing director of AllergenFree Solutions Inc., talks to a Techno Showcase attendee about his company. 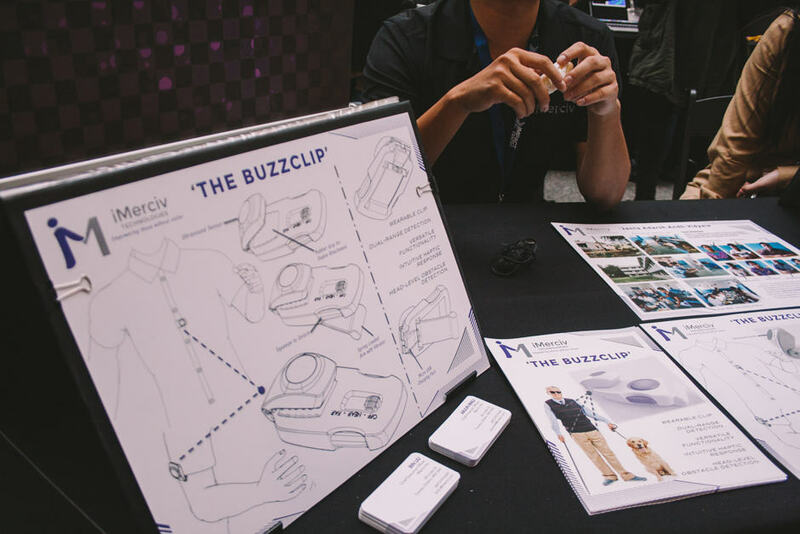 Buzzclip is an invention of Bin Liu and Arjun Mali of iMerciv Inc. and is designed to increase accessibility for blind people. 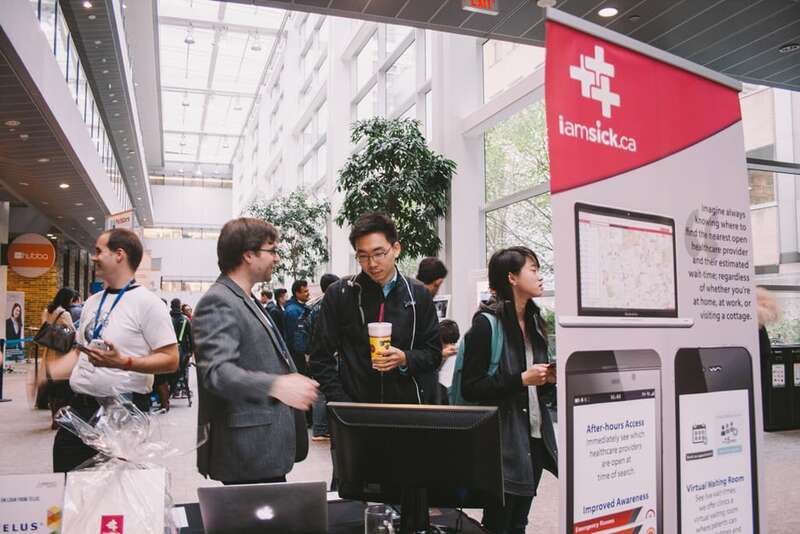 iamsick.ca is a tool that makes healthcare more accessible by allowing Canadians to book appointments online and check waiting times at walk-in clinics, among other things. 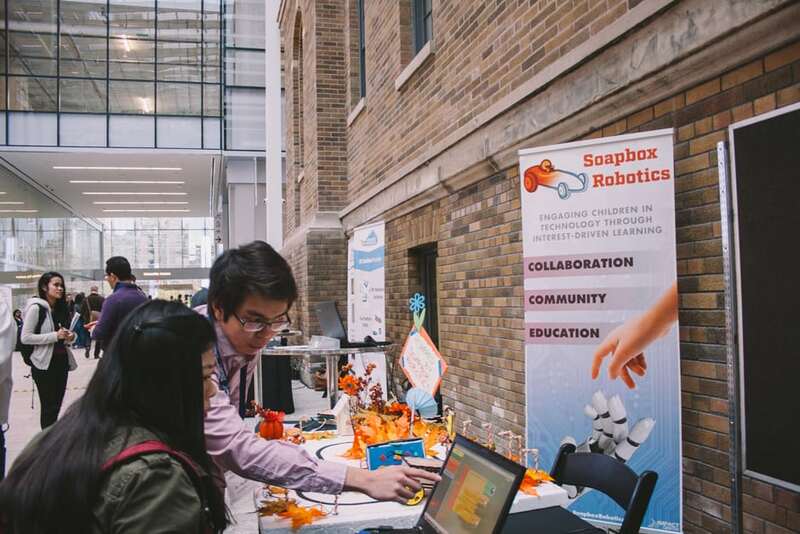 Guo Qin Low talks to an event attendee about Soapbox Robotics, an open source educational platform hoping to advance technology education at the elementary school level. 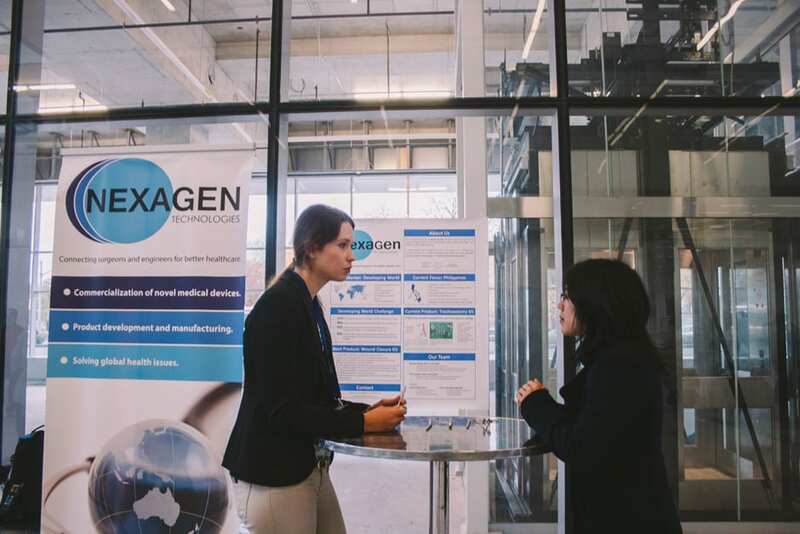 Nexagen Technologies helps bring about improvements in healthcare by increasing collaboration between doctors and industry professionals. 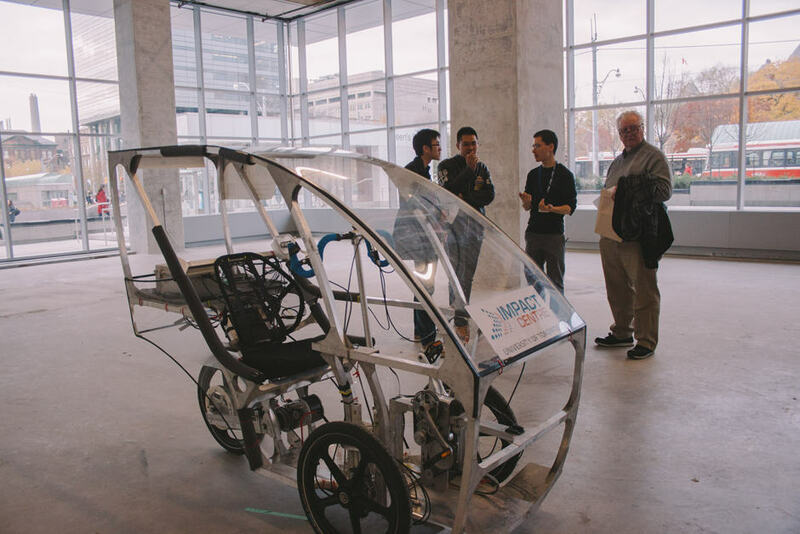 The electric car-bike developed by Phil Lam of the Department of Mechanical and Industrial Engineering and Jonathan Lung of the Department of Computer Science. 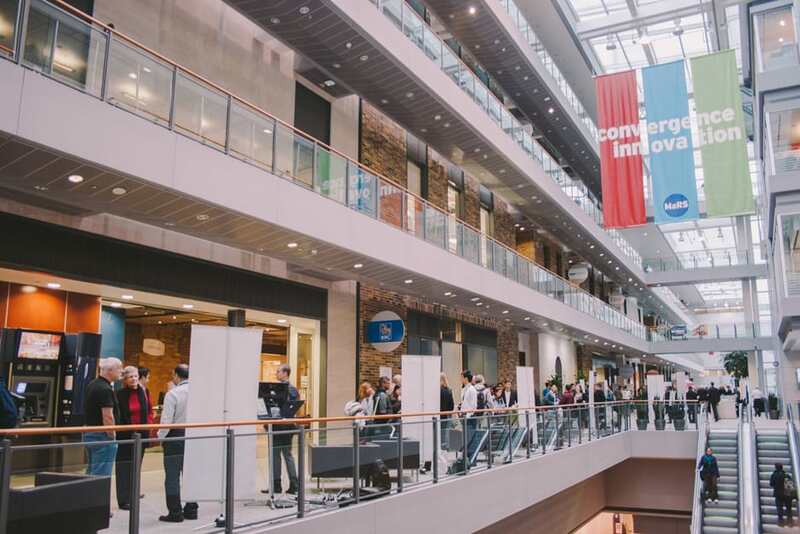 The Techno Showcase brought together students, scientists, entrepreneurs, and interested community members to engage in conversation about scientific entrepreneurship at MaRS.